I finally got my pre-order request for the ultimate wireless controller... the RadioPopper! 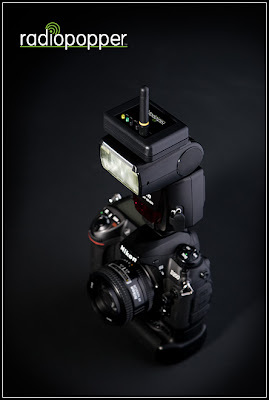 This new system will improve over current units in the reliable use of the i-TTL flash control of the wireless speedlight. I can't wait to get these in so I can play in the streets... literally! I have a few shots lined up in the downtown area and it will be great to control my wireless units from the back of the camera. OKC Yard Dawgz Win First Game!